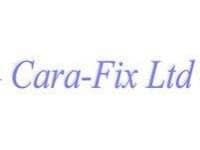 With over 25 years of experience in the trade, Cara-Fix are specialists in the repair, refurbishment and renovation of all static caravans. Whether you run a holiday park business or are the owner of a private caravan, you can trust Cara-Fix to be your first port of call when you are in need of high quality repairs. We have steadily built up a solid reputation for excellent workmanship, reliable and efficient service and a focus on customer satisfaction, and we are a trusted name in the business. Our skilled and experienced team offer a wide range of professional-quality services, ranging from double glazing and plumbing to storm damage and general repairs. All work is finished to the highest possible standards and the greatest care and attention to detail is taken with each and every job. Able to work on all makes and models of caravan, our services are competitively priced - please contact our friendly team today to discuss your individual requirements.